We would like to welcome you to a warm and cozy winter holiday-time at our place. During your stay we will take care of everything. You go skiing during the day and we have the after ski and hot sauna ready for you when you get back! We arrange a dessert evening on 23rd together with some last-minute gift- wrapping, treasure hunt for the kids, and for some extra christmas spirit you could visit to the beautiful Monastery. Santa Claus will stop by on Christmas Eve and a mouth-watering christmas table (with all of your favourites) will be served accompanied by the jingle bells. Available 21st-26th of December, minimum stay 4 nights. 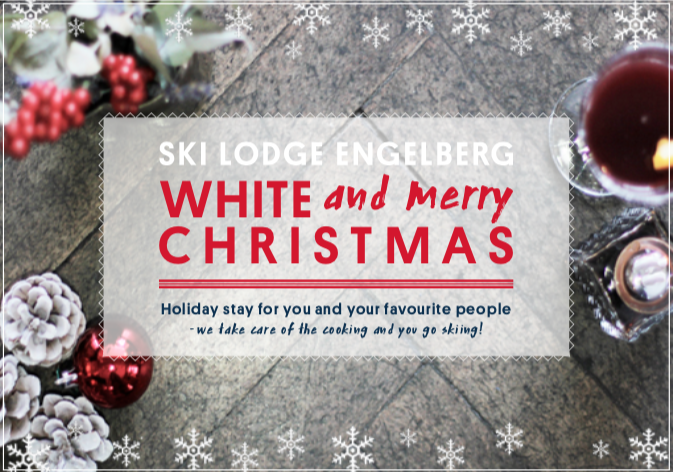 Accomodation in Twin room including awesome breakfast, Skier’s Dinners, activities and the Classic Christmas Table. CHF 580 per person for 4 nights. Send the friendly faces at reception an email for booking inquiries or just call us directly.